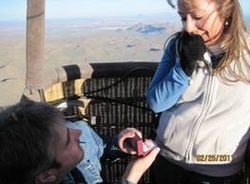 A hot air balloon wedding is as romantic as they come! Kevin is ordained to perform in-air or pre-flight wedding ceremonies. Call 520-235-5355 to discuss.